Courtesy of Kristen Jeno, Wilmington, North Carolina. Kristen Jeno organizes two swim around the Wrightsville Beach Loop in Wilmington, North Carolina. This year's event is held on October 7th and includes the 3.5-mile Swim The Loop and the Motts Channel 1.3. The longer race is capped at 300 swimmers and is more difficult with a tidal flow. Mott's Channel Sprint is meant for the beginner to advanced swimmer. 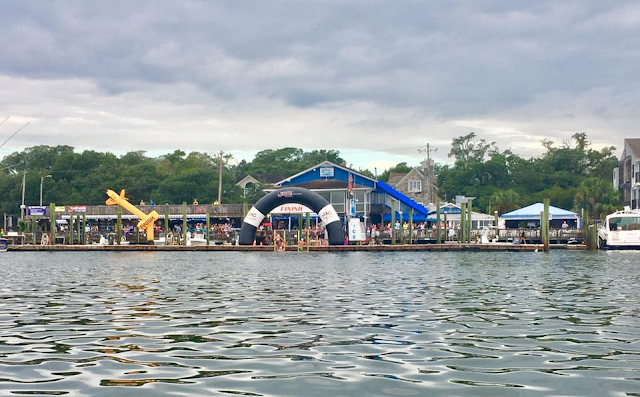 "Swim The Loop starts and finishes at the Dockside Restaurant, which is located on Airlie Road (Wilmington side of the Intracoastal Waterway). The race will start at a high tide to ensure an even tide pattern throughout the 3.5-mile swim," described Jeno. 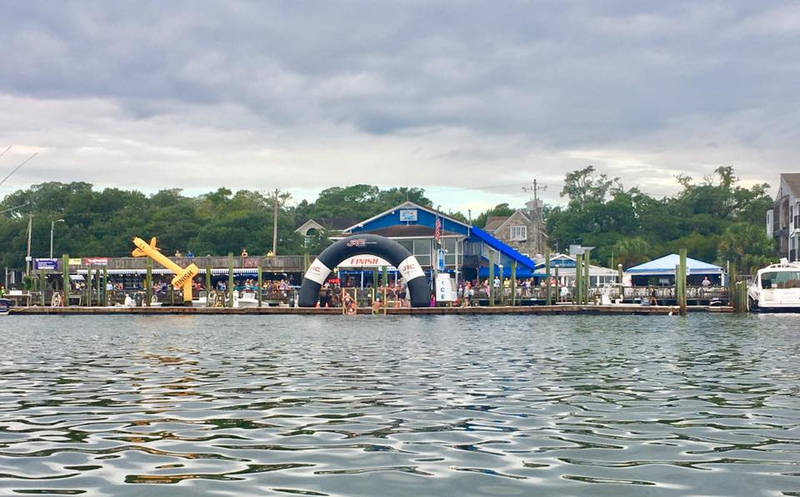 "Mott’s Channel Sprint starts at the Blockade Runner Resort, located on Wrightsville Beach, and finishes across the intracoastal at the Dockside Restaurant on Airlie Road. 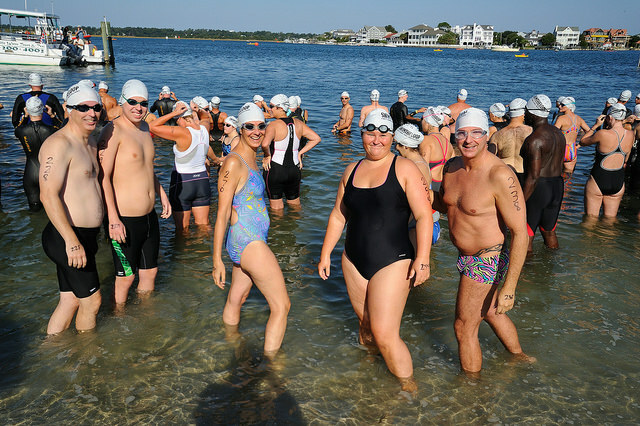 The course is approximately 1.3 miles long and is a point-to-point swim." Jeno has an interesting standard governing wetsuit usage in the swims. "If the water temperature is above 76°F, a swimmer who chooses to wear a wetsuit will receive 5 minutes added to their overall time for Swim The Loop and 2 minutes added to their overall time for Mott’s Channel Sprint." If the water temperature is over 82° wetsuits will not be allowed due to possible heat exhaustion. A portion of the race proceeds will go to the North Carolina Coastal Federation, a local non-profit conservation organization. For more information and to register, visit here. To contact the organizer, email KRISTEN@IAMWITHOUTLIMITS.COM.